Did you know that the fin whale is the second largest whale in the world? 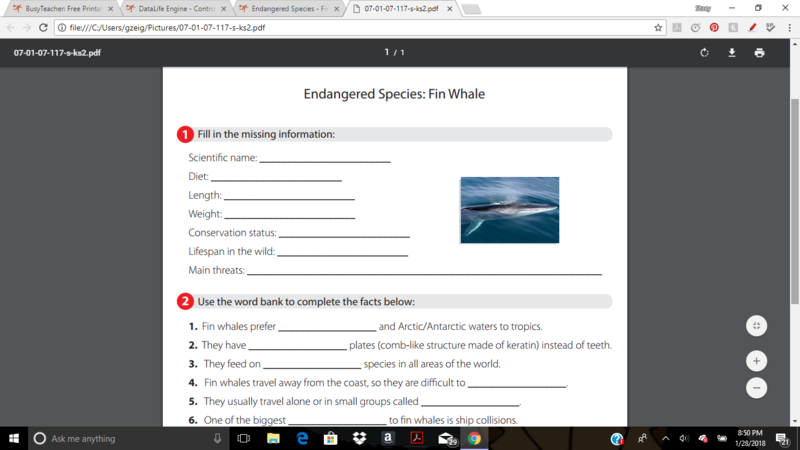 Find out some more interesting facts about fin whales by completing this endangered species resource. 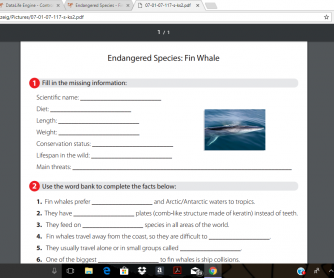 Students are asked to fill in the missing information and then fill in the missing words using the word bank.